BLUE HILL — Righthander Nolan Hall handcuffed the George Stevens Academy Eagles, striking out 11 and giving up just four hits as he pitched the Mount Desert Island Trojans to a season-opening 1-0 win on Thursday, April 23. 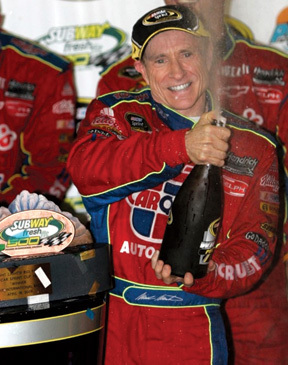 PHOENIX — With his win in the Subway Fresh Fit 500, Mark Martin became the fourth NASCAR Sprint Cup Series driver 50 or older to go to victory lane. JOHNSON, VT – In a battle for third-place in the final North Atlantic Conference regular-season standings, visiting Maine Maritime Academy defeated Johnson State College 8-3 in men’s lacrosse action on Wednesday at Minaert Field. The Mariners (7-3, 7-2 NAC) were fueled by a 69-55 groundball advantage and used a stingy defensive effort to stiffle the Badgers (6-4, 6-3 NAC) offense. 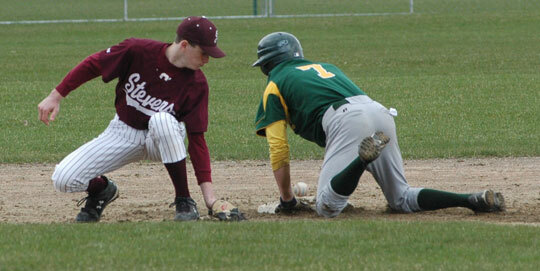 Bangor, ME – Husson University won their 14th game in a row as they swept Maine Maritime Academy. The Eagles improve to 17-11 and remain undefeated in NAC play with a 10-0 record. MMA falls to 3-17 overall and 1-9 in the NAC. Husson took the first game in five innings 9-0 and won the second game 9-3.